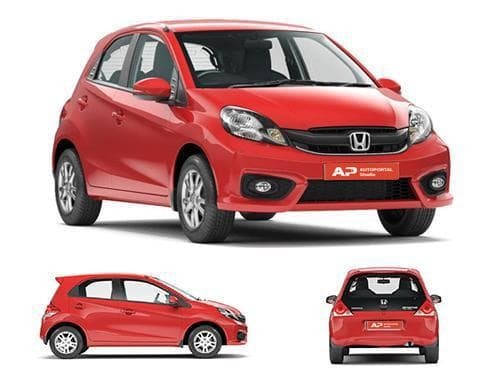 Honda Brio is quite trendy, stylish, compact and a high performing hatchback. It has earned huge appraisals right from its launch and has proved to be quite successful for the Indian market. The company has given this model such sporty looks that you can’t fail to notice it. The best part of this model is that it offers almost all the basic features and a few advanced features as well and that too at very minimal price point. But if you are comparing models on basis of boot space, this model gets lagged behind in the race. Honda Brio features a tiny boot space of 175 L whereas many hatchbacks in the same price segment offer more spacious luggage compartment. Toyota Etios Liva, Ford Figo, and Hyundai Grand i10 offer 251 L, 284 L, and 256 L of boot space respectively. Hyundai Elite i20 also offers a better trunk space of 285 L so that you can accommodate all your luggage without any hassle. On the other hand, Chevrolet Beat offers a comparable boot space of 170 L. These stats clearly show that if you are choosing your vehicle on basis of boot space, Honda Brio is not quite the right choice. The boot space of Honda Brio compares with that of Maruti Suzuki Swift, Hyundai i10, Hyundai Elite i20, Nissan Micra. 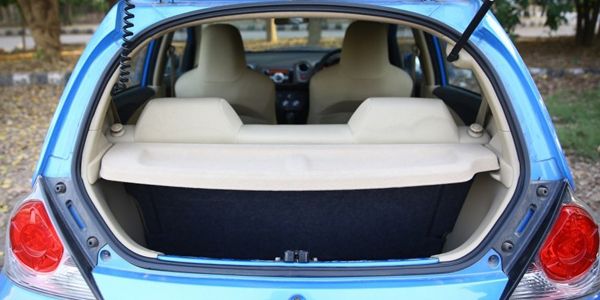 The boot space of Honda Brio is 175 litres, whereas the boot space capacity of Maruti Suzuki Swift is 316 Litres. On the other hand, Honda Brio boot space competes to Hyundai i10 with 225 Litres of boot space, and Hyundai Elite i20 having 285 Litres of boot. Generally, it's considered a great deal if the boot space capacity of a car is beyond 300 Litres, whereas, boot space below 300 litres isn't recommended if your primary goal of buying a car is boot space.